You may also find how to merge two or more than two features in shapefile. Also you may read more tutorials in QGIS. 1.) 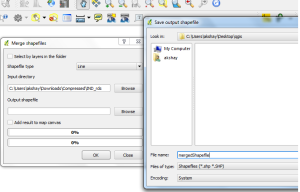 Take and copy all Shapefiles to a common folder which you want to merge. Vector -> Data Management tools -> merge shapefile to one, which will open up new window “Merge Shapefiles”, as shown below. 4.) Press Ok. It will process your all shapefile and merge it to one. Finished. Note: New .dbf file will contain sum of column of two shapfefile minus common column. 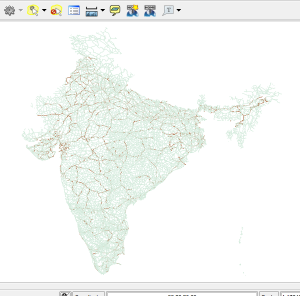 Here you can see the output of two merged Shapefile of Road and Rail Route of India. 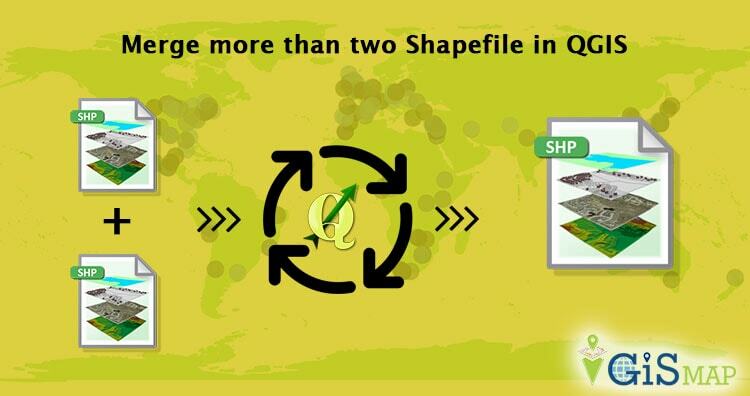 Hope this helps you to merge two or more shapefile with the help of QGIS tool. You can also find QGIS operation to convert Shapefile to GeoJSON, convert kml to Shapefile and Shapefile to KML. If you find any problem on implementing the above steps do comment below. Your suggestions are always welcome as comment. Thank you for the information. I have successfully completed the above steps and merged two shapefiles of same shape. But Can we merge two shapefile of different shapes? Thank you for this article but I am experiencing a problem. I merge the two files but when I go check the table it only shows the lines of one of the shapefile. The columns are ok though. But the lines for example: I have 19 lines in one shapefile and 9 in another. 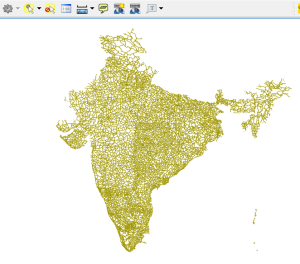 Each shapefile as a column named “name” that is imported automatically from the GPS to QGIS. In the name column on one file it goes from 001 to 020 (note that it starts on 0 so that is why it has 19 lines) and on the other file it goes from 021 to 030. Now the problem is: I merge the files and the final file only show or lines from 001 to 020 or 021 to 030, and after all, it adds like 50 useless lines with no data. Do you know what is happening? I want to have a final file with lines from 001 to 030 and the exact same columns. Thanks in advance. Welcome. I am not getting the exact problem what happening. But still you can solve the problem by deleting those extra line or edit the attribute table. Here is the tutorial for the same http://www.igismap.com/digitization-in-qgis-exploring-tools-for-digitizing/. I hope this may help you. 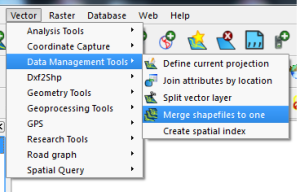 I can’t find Vector -> Data Management tools -> merge shapefile in my QGIS 2.18.5. My options are: Split vector layers, Join attributes by location, Define current projection, Create current projection, Merge vector layers.